Websites you can manage yourself! Choose James Web design for your new website and also get commercial photography, logo design, video production, custom web programming, and more! We offer affordable and completely custom websites with self-management training. We have much experience with creating websites for builders and construction firms, as well as architects and contractors. We also have created many custom features for project management, bid distribution, etc. We offer custom web programming to meet your needs. 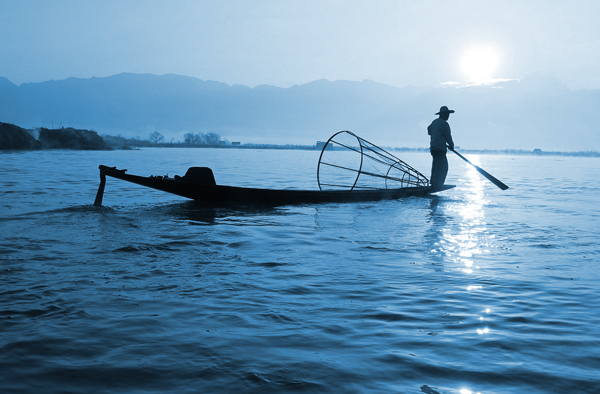 Marketing approaches are always changing and fresh new ideas help keep your site cutting edge. We'll dream it up together, and build it for you! We specialize is creating a website for your restaurant that captures the spirit of your dining experience, displays tasty images of your menu, and shows reviews. We'll help your restaurant put it's best foot forward. Manage YOUR site yourself and save money! Are you tired of having to contact an expensive team of website designers, just to change some simple content on your site? We believe in empowering our clients to take charge of their content, and train them to make changes themselves. We specialize in completely custom websites that are also very easy to change and maintain. 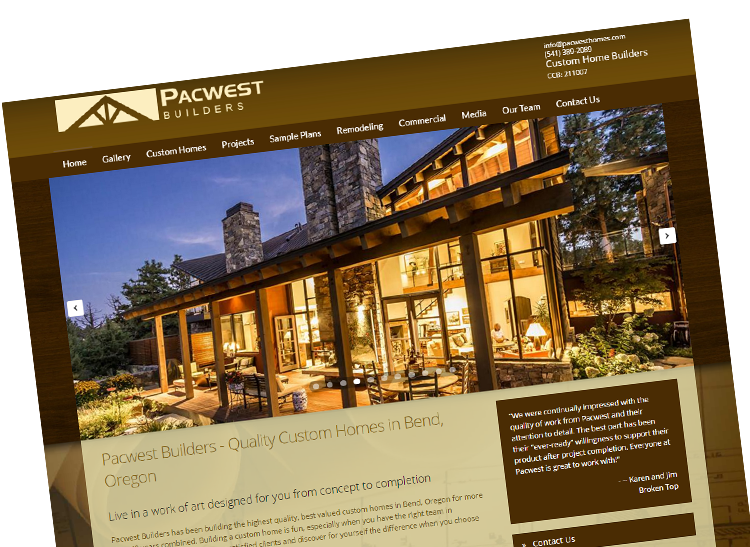 If you're just starting a new business, or deciding to upgrade your small business website, James Web Design is a smart choice for your new Bend Oregon web designer, and complete marketing solution. 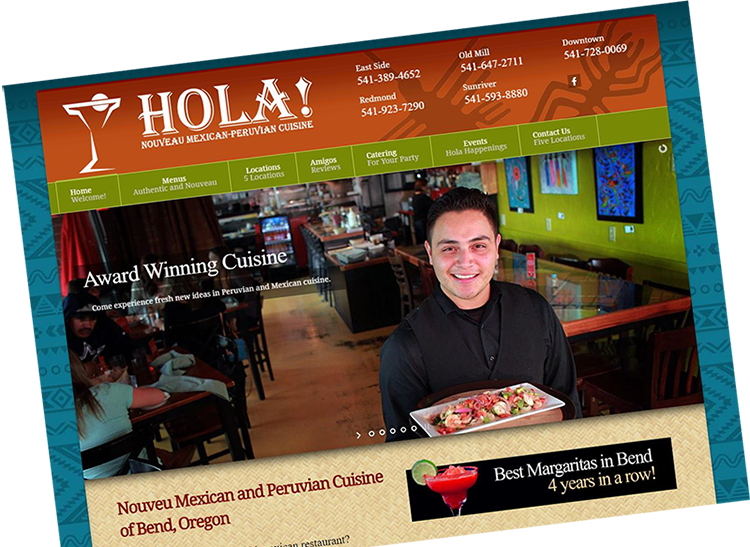 We've been helping bend oregon business owners develop their online presence for over 18 years in Bend Oregon, Redmond Oregon, and Prineville Oregon. We are experienced with digital marketing, Web design, graphic design, logo design, search engine analysis and optimization, commercial photography, blog writing, researching publicity opportunities, video production, and more. Let us be your complete marketing solution. We have seen a lot of changes in custom website design in 18 years, but one thing that hasn't changed is the desire for most small business owners to play a management role in the maintenance of their website; like they do with their own business. At James Web Design we'll provide experienced consultation on your initial marketing choices for your online business presence; like buying the right domain name. We can also design a logo for your business and website if you don't already have one. After that, the development of the site can be a collaborative effort, so the site showcases your business in the way that you expect it to. And once the website is completed, we can teach you to edit your own website and add content yourself. 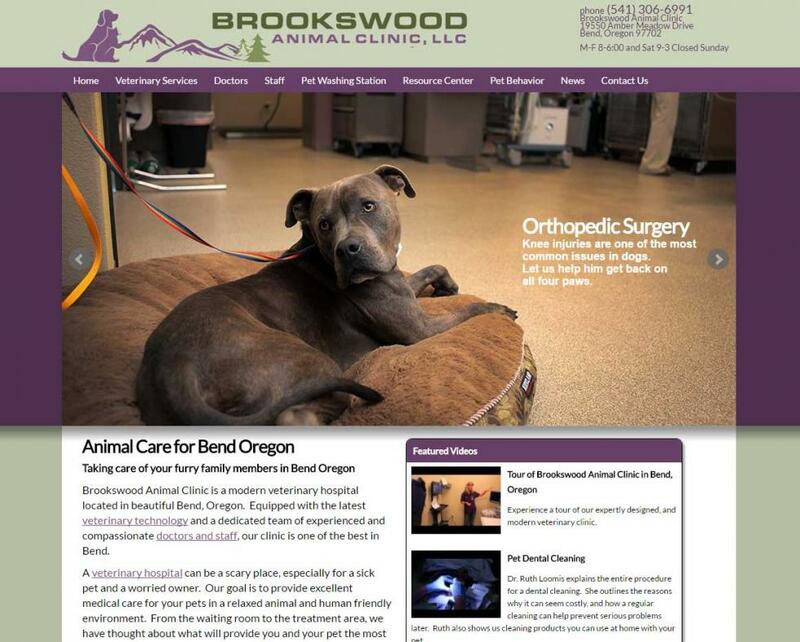 James Web Design is located here in Bend, Oregon and is a great choice for your new website design. The owner James Hutchens has been creating websites for over 18 years for small and medium sized businesses. 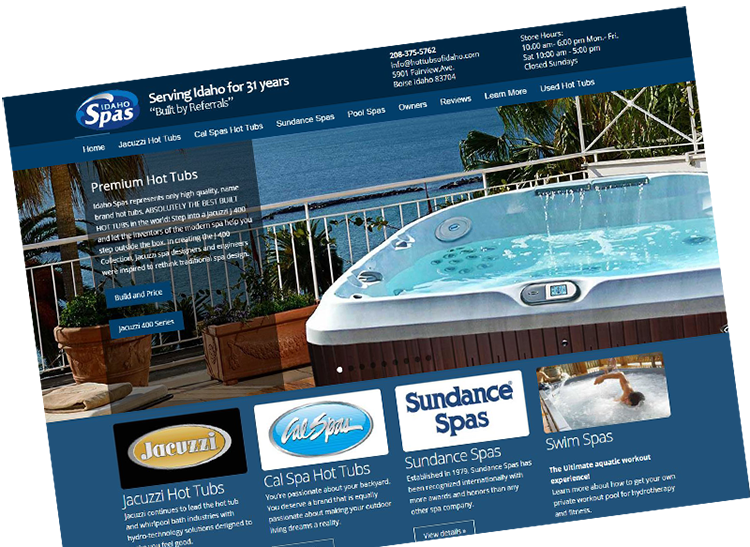 Our model has always been to provide an intelligent website product that can be easily managed by you. With a Master's Degree and almost 20 years of college level teaching experience, James can easily show you the ropes in managing your own website. We have been custom programming for the web since 2001 which means that just about any functionality can be added to your site to make it work for you. We also offer affordable in-house video production for your website and business. Video content and youtube play a large part in successful online marketing. James has a Master of Fine Arts degree and a creative personality, so let's dream up something amazing together for your new site! With over 25 years background in photography and digital imaging, we can provide an affordable option for getting original photos of your staff or business. It has always a fun challenge to create websites that make it very easy for anyone to manage them. We'll train you to be your own webmaster. Having James Web Design create a promotional video for your business can be a great way to boost your search engine visibility or SEO. We found James to a pleasure to work with! He was timely, professional, and easy to work with. We would recommend James to anyone who needs a web site created or fresh eyes on an old one that needs to be updated with a more modern look. 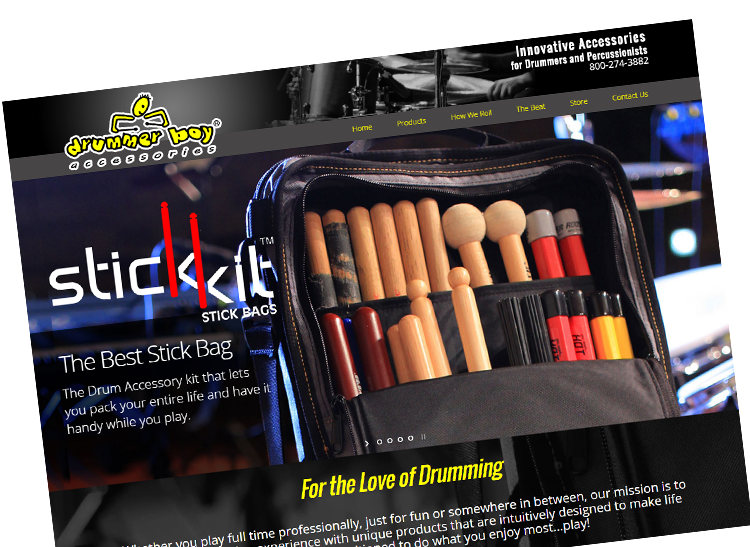 James designed our first web site. I chose him because of the many examples of web sites he had already designed, which you can find at his web site. He must have done something right in the \"guts\" of the site, because I was able to get it onto the first page of links when doing searches for several key words on three different search engines, and believe me I am no expert at search engine optimization. He was honest in advising me on some of the colors and images I wanted and made it really easy to edit my own site, although when I called on him for help he was always right there. We have taken our site down because we no longer need it, but I would recommend James Web Design to anyone who wants a site they can collaborate on - several others I questioned told me flat out I would not be touching the site after they designed it. And many charged extra after the initial design for changes I might want. We made the right choice and were very happy with his expertise. 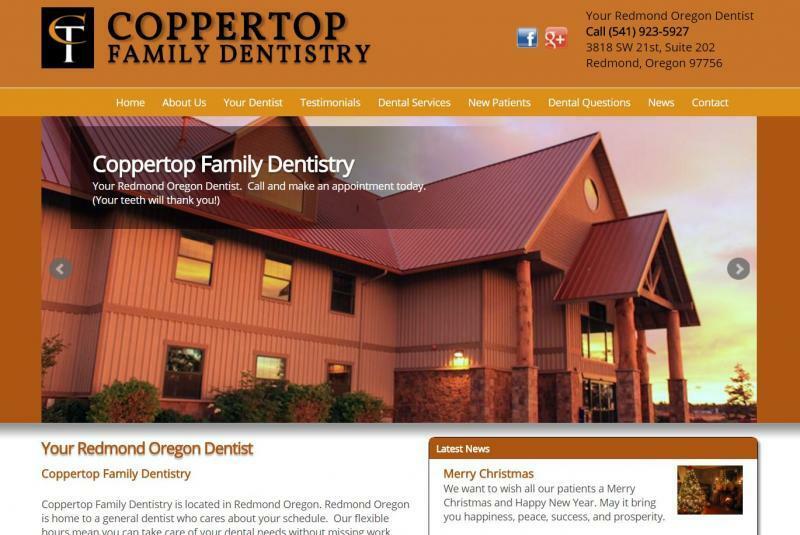 I recently had a new website for my dental practice built and James Web Design did a great job for me. The website is modern, mobile friendly, and met my aesthetic goals. James is great to work with, efficient and quick, and I highly recommend him for web design. My project was very custom and required special programming, but James was able to accomodate everything I wanted including adding my podcasts to iTunes. James has a "no job too big" attitude and loves to take on challenges! He has custom made a blog with commenting and set up purchasing pdf files for 2 different sites I own. 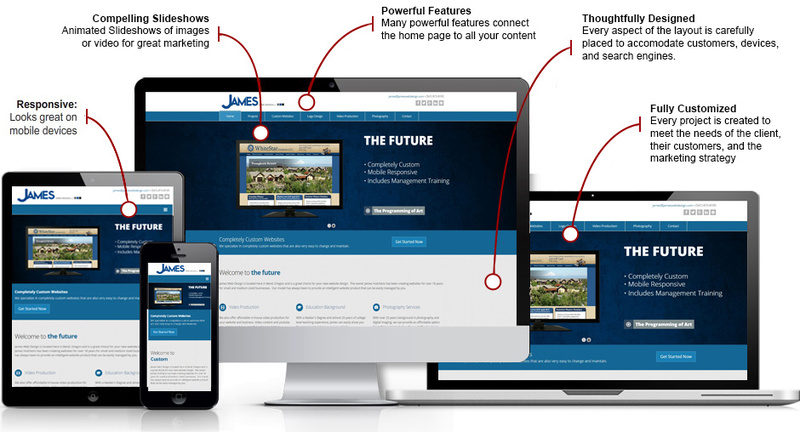 We chose James Web Design because he agreed to train us on maintaining our site and it worked out great. Â He was patient and showed me how to change everything I wanted to change including SEO keywords. Â We have had our site for a long time, and he has been helpful over the years whenever we call for help on the site. James was easy to work with, reasonably priced, and trained me well on how to easily make changes download videos and pictures to my website. The Web is constantly changing; so we change with it. We'll create a website that is cutting edge, meets the demands of your customers and their devices, and gives you control over managing it yourself.